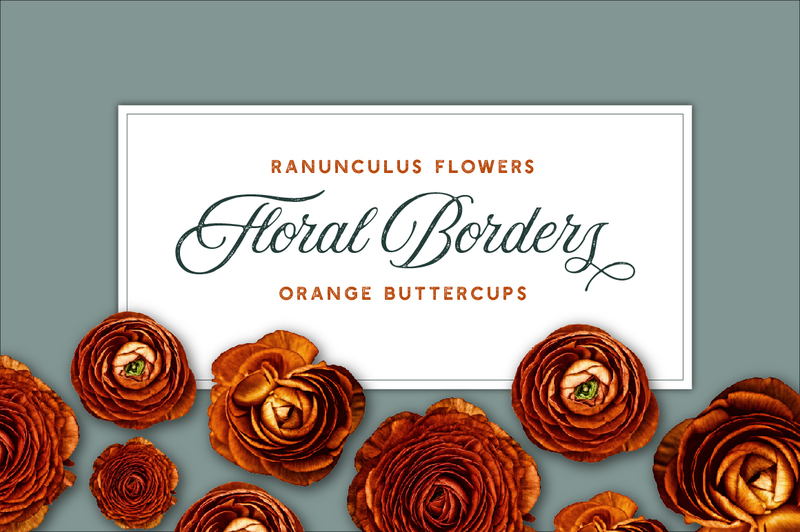 Inspired by nature, these botanic borders are made with REAL Ranunculus Flowers. Each border is made with natural photographic elements. 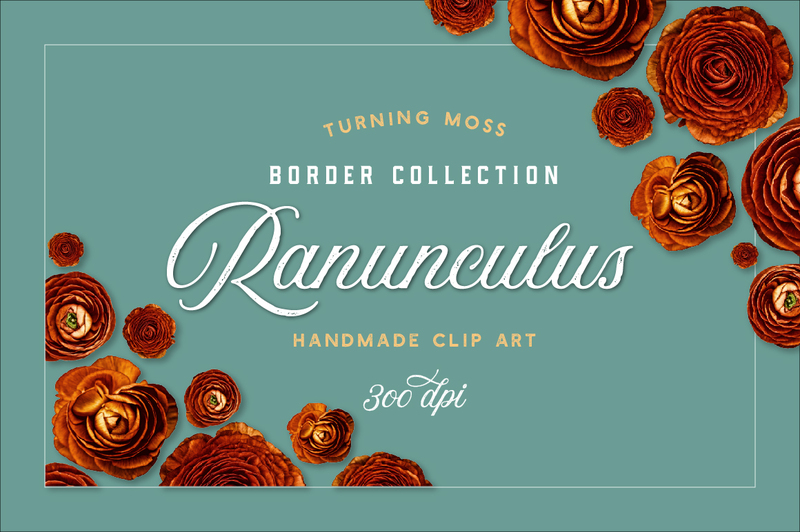 In this pack you will find 26 organic borders & 5 isolated flower blooms. 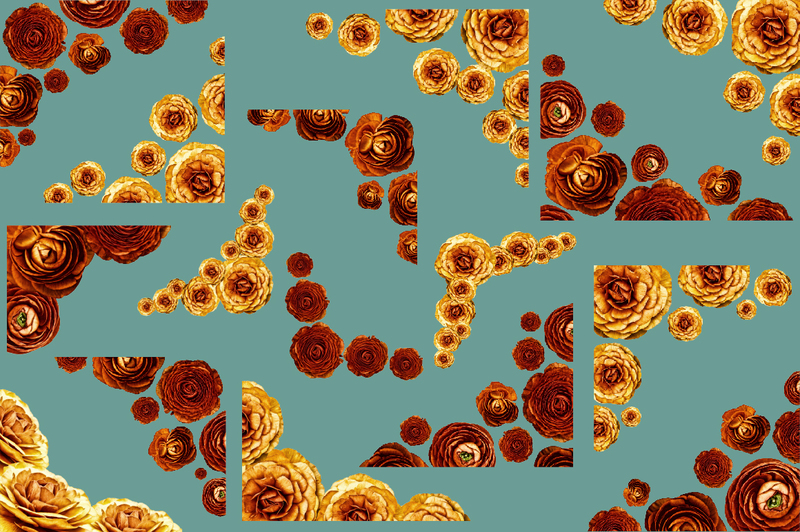 Five orange Ranunculus flowers joined together to create this lovely border set. 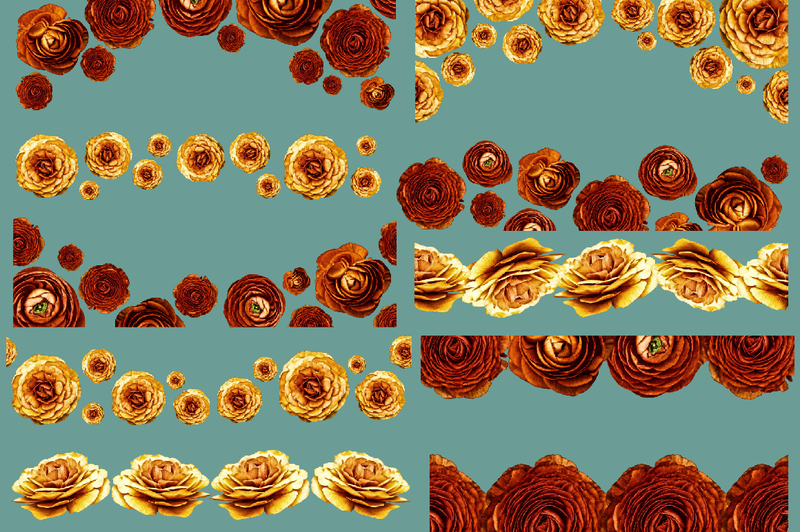 These real flowers have been processed with a moody vibe, allow these deep autumn oranges and warm petals to wrap around the edge of your design. 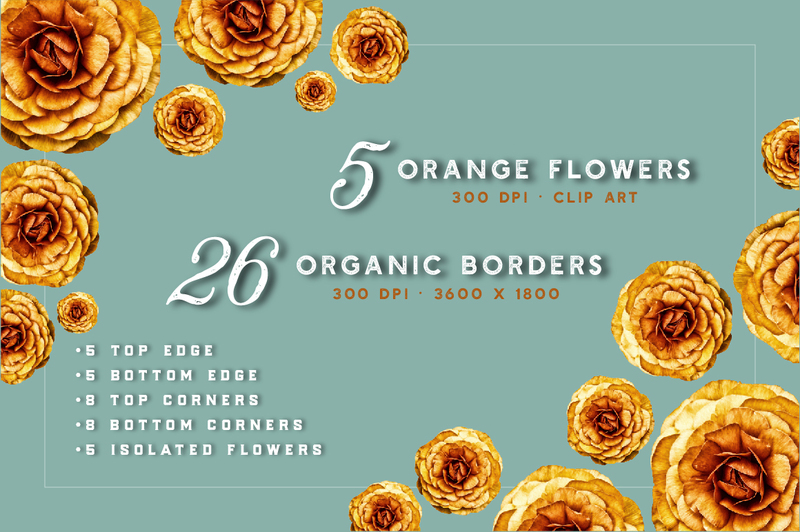 Use the dreamy flowers to customize your next project. Shop for more digital botanics on Creative Market & Etsy!